Yes, there is such a thing as the 0 ranking in the search engine results pages (SERPs). If you can get your awesome content in that position, you’ll do wonders for your brand. In this article, we’ll go over the importance of striving for position #0 and also offer some pointers on how you can get your website in that coveted spot. Position #0 is often referred to as the “Featured Snippet” in the SERPs. That’s because it displays a little bit of the content on the page in addition to the link itself. If you want to see an example, head over to a desktop device, fire up Google on your browser, and type “how to cure bacon” in the browser bar. In response, you’ll see a featured snippet at the top of the SERPs that offers some bullet points on how to cure bacon. As another experiment, perform that same query on your mobile device and you likely won’t see that featured snippet at the top of the results list. Instead, you’ll see a carousel. Clearly, featured snippets haven’t yet “matured” on a mobile platform. You can expect that to change in the future. On your same mobile device, search for “what is ssl” and you’ll likely see a featured snippet in response. So featured snippets do work on mobile devices (for some queries, anyway). Featured snippets don’t just display a piece of the content, though. They also display the title of the web page and a link to it. The obvious benefit to ranking #0, of course, is that your site is at the very top of the search results. Not only that, but featured snippets stand apart from the rest of the organic results. In other words, they’re not just at the top, they’re occupying their own space separated from the rest of the pack. If one of your web pages occupies rank 0, you’ve got some obvious prestige. Another bonus: pages that are used in featured snippets also often occupy another space somewhere in the top 10 of the organic search results. Go back to the “how to cure bacon” results and you’ll see the same web page occupies position #0 and position #1 in the search results. That means the author of that piece (Steve Raichlen) occupies two spaces on Page 1 of the SERPs! How cool is that? So, if somebody searching for how to cure bacon skips the featured snippet for whatever reason (maybe thinking it’s an ad), then that person will still see the same content in position #1. Also, featured snippets are becoming more prevalent. As Google starts showing them in more and more search results, you should covet that #0 spot to get the word out about your brand. Of course, if you’re striving to be an authority site, you can’t go wrong with a featured snippet. To the average searcher, it looks like Google is highlighting your content and showcasing it as an example of exactly the kind of information the user is searching for. There’s little doubt that ranking at the 0th position will also increase your click-through rate (CTR). Although that might seem intuitive, the theory is backed up by science. A 2015 case study by Glenn Gabe tracked what happened after a client lost a competitive keyword in the Featured Snippet. During the two-week period following the loss, that client lost more than 39,000 clicks. In 2016, HubSpot published a study of high-volume keywords. 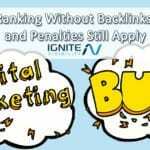 The research found that sites appearing in position 0 enjoyed a 114% CTR increase. That was the case even if they already held the #1 spot. Another study by Search Engine Land found that sites with Featured Snippets acquired a whopping 516% increase in sessions. In addition to that, mobile sessions increased by 505%. 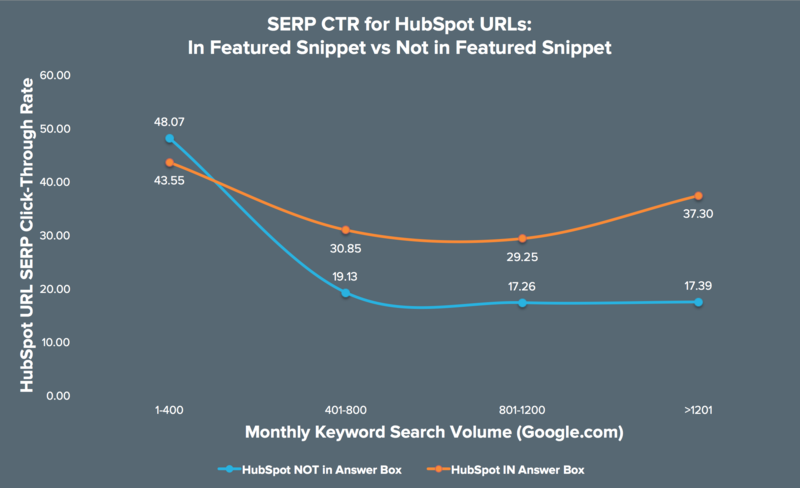 Finally, according to that same study, Featured Snippet sites saw CTR increase from 2% to 8%. All of this points to one clear, indisputable truth: you want your site to rank #0 for keywords relevant to your brand. Where Do Featured Snippets Come From? Once upon a time, many search engines were human-curated directories. That was way back in the 1990s, when it was possible for a few people to handle the volume of information that was on the web. Those days are well behind us. As content exploded online, it became necessary for search engines to turn to algorithms to sort through it all. After a while, Google tried to use humans to populate the Knowledge Graph. That’s a digital card that Google uses to provide answers to queries. Of course, the folks at Google simply couldn’t keep up with all the knowledge in the world and so the company had to turn to an algorithmic answer. So Google took the trillions of pages in its index used them to curate real-time answers. That was easier said than done. The Big G had to put some intelligence behind its parsing of all those pages so that it could “feature” a brief portion of the content (a snippet) that makes the most sense based on the query. It was a feat of engineering genius. It’s what gave us Featured Snippets. A lot of people think of Featured Snippets as Google-highlighted content from a paragraph. However, not all snippets follow that pattern. We’ve already seen that if you search for “what is ssl” you’ll get a paragraph with a brief overview of SSL. However, we’ve also seen a step-by-step answer in response to the “how to cure bacon” query. With that bullet list, though, Google abbreviated each point. It just showed the first few words in the point followed by an ellipsis. That’s because the name of the game in Featured Snippets is to give people brief answers to their questions. There are even more complicated featured snippets than bulleted lists, though. Google “how much is a tesla” on your desktop and you’ll see an answer from NerdWallet that lists prices in tabular format. Keep in mind that the table in that Featured Snippet isn’t from structured data. Google is intelligent enough to parse the HTML table on the website and present it in the snippet. According to GetStat, paragraph snippets are the most common (showing up 82% of the time), followed by list snippets (10.8%) and table snippets (7.3%). GetStat’s research also showed that there are at least 1,500 queries that are worth more than $1 million per year. To determine that figure, GetStat just multiplied the annual search volume of a keyword by it’s AdWord cost-per-click (CPC). For example, the query “virtual desktop” receives 3,600 searches per month on average. The CPC of that query is $49.10. So it’s annual value is 3,600x12x49.10 = $2,121,120. So if you want to improve your cash flow significantly, land a Featured Snippet spot. As an SEO, you’re probably sold on the importance of schema.org markup. 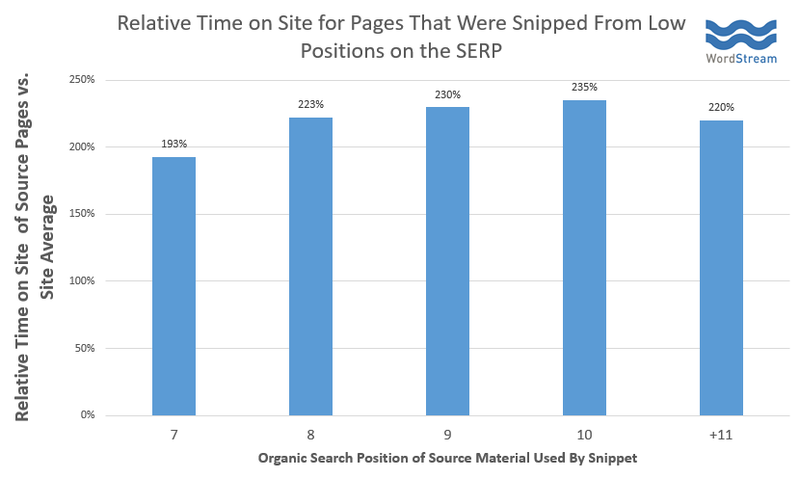 However, GetStat’s research shows that Featured Snippet URLs are less likely to use markup. Keep in mind, though, that many Featured Snippets are derived from Wikipedia, which doesn’t use markup. That might have skewed the results. Don’t let this stat deter you, use schema.org as much as you can. As with ranking at #1, the answer is usually easier said than done. That’s not to say that you shouldn’t try it. After all, in doing so you’ll almost certainly improve your rank in the SERPs even if you don’t hit that coveted #0 spot. For starters, keep in mind that you don’t have to rank #1 to also rank #0. Even though the “how to cure bacon” query showed the same page in both of those positions, that’s not always the case. In fact, only about one-third of Featured Snippets are obtained from a result in the #1 position. The lion’s share of the remaining snippets come from positions #2-#5. It looks like that Featured Snippets are based on relevance rather than rank. So if you’ve got a page sitting pretty at #5 and it’s more relevant than the top four positions (based on Google’s algorithmic determination of relevance), then you stand a good shot at getting to #0. That will definitely frustrate a competitor who’s at #1! Now the question becomes: How can your page be more relevant than your competitor’s page? One of the best ways to promote the relevancy of your website is to get straight to the point. Use short, informative sentences that are easy for Google’s algorithm to parse. If you’re using WordPress with Yoast SEO (and you probably should be if you aren’t), you already have a valuable tool that will help you get to the point. It’s called the Flesch Readability Score. When you save your content, you’ll notice below your text a score that ranges from 0 to 100. The closer that number gets to 100, the easier it is to read your content. If your score is north of 90, then you’ve got content that’s easily understood by an 11-year-old student. If the score is between 60 and 70, then it’s easy to comprehend by a student between the ages of 13 and 15. Google will likely be able to parse higher-scored content more easily. That’s why you should write at a middle-school level. Another great way to demonstrate relevance is to write in an “inverted pyramid” style. That means you give your readers a summary at the top and then provide more detail deeper in the content. Journalists use the inverted pyramid technique all the time. It’s helpful for readers because they can grasp the main concept of the article without reading the whole thing. Yet another way to demonstrate relevance to Google is to use longform content. That’s content at least 1,500 words in length. There are already demonstrated SEO benefits to longform content. But beyond those benefits, it could land you a Featured Snippet spot. Just make sure that your content isn’t long just for the sake of being long. Google’s algorithm will see right through that. Instead, put in the time for the proper research, structure your content so that it’s meaningful, and pack your article with lots of valuable information. That will tell Google that you’re an authority in your domain. Another great way to snag a Featured Snippet starts with a concept that should already be familiar to you: keyword research. Use a tool like SEMRush to find out which keywords relevant to your brand don’t have a lot of competition right now. Then, produce content that ranks for those keywords. With a little bit of keyword research, you might find some “low-hanging fruit” that could land you a Featured Snippet even faster than you had thought possible. It’s often the case that people literally type questions into the Google search bar. We’ve used a couple of questions for demonstration purposes right here in this article. Google loves to display the answer to a question in the form of a Featured Snippet. That’s why it’s a great idea to think about questions related to your brand and try to rank for those questions. Start by thinking about the 5 W’s (where, when what, why, and who) plus how. Use Google to search for answers to those types of questions that might be asked by people in your target market. Don’t be shy about including the very questions that you’re trying to answer in your content. Be sure to separate the question and answer so that Google’s algorithm can easily parse the two. One way to do that is by asking the question in an H2 subheader and then answer it in the content that follows. There are some questions that are implied when people use search. For example, if you search for “ssl” and “what is ssl” you’ll get the same Featured Snippet, but the second one won’t show ads. In other words, Google assumes that when someone just queries “ssl,” that person is essentially asking for a definition of SSL. Hence the Featured Snippet. The takeaway is this: when people in your target market are searching for keywords related to your niche, you might land the coveted Featured Snippet spot if you define that keyword in your content. Keep in mind, though, that if keywords related to your brand are already well-defined in prominent authority sources like Wikipedia, then you’re going to have trouble getting a Featured Snippet. It’s best to shoot for generic words that aren’t already defined in the dictionary. Why and How questions often require in-depth answers and give you a great opportunity to land a Featured Snippet. Once again, think about Why and How questions that people in your target market might ask. Specifically, think about the questions they would ask if they have purchase intent. Once you’ve determined the right questions, start ranking for those questions and provide the correct answers. A bonus to going the Why and How route: the Featured Snippet will rarely include the whole answer (we saw this with the “how to cure bacon” example). That means the snippet will provide just enough info to whet the appetite of people searching for answers so that they click on the link and visit your site. According to The Next Web, an ordered list has a 41.6% higher rate on Featured Snippets than standard content. That’s why it’s a good idea to think about putting your content in listicle format. Why are listicles so successful? Because people are busy. They prefer to scan, rather than read, an article. If you haven’t already done so, consider answering questions to brand-related queries in an ordered list format. That makes your content easier to parse (by Google) and easier to read (for humans). It’s a win-win for everybody. Sometimes people want to ask how much the product or service that you’re offering costs. They’ll use Google to get the answer. For example: use Google to query for “what is the cost of back pain.” You’ll see a Featured Snippet as the top result. That’s why you should provide an answer to the “cost” question. It gives you a quick way to reach people with purchase intent. That’s especially true if your answer is displayed in a Featured Snippet. According to a theory bandied about by Moz’s Larry Kim, there’s a correlation between engagement and inclusion as a Featured Snippet. So, if you want a Featured Snippet, increase the engagement on your page. How do you do that? Work on increasing the CTR from the search results. Also, do what you can to improve dwell time on the page. Make no mistake: it won’t be easy to get a Featured Snippet. In fact, in some cases, it might just be the luck of the draw. However, with some effort, you can give your site a better chance at ranking #0. To do that, you’ll have to first rank on Page 1 of the SERPs and then make sure your content is considered by Google to be more relevant than other content that ranks on Page 1. Hi. Looking at the article you reference on The Next Web, the author’s words are a bit fuzzy. I think he intended to say that lists perform 41.6% better than standard content, and did not intend to draw any distinction between ordered and unordered lists. Would you agree?